With 2010's "There Is Love In You" still receiving critical acclaim, Kieran Hebden, better known by his production moniker Four Tet, has announced he will release a live album this year featuring late jazz drummer Steve Reid and Mats Gustafsson. Although the album was officially announced recently, Four Tet decided he would release his favorite performance with Reid, his frequent collaborator, upon the news of his death last year. The album, to be released by Smalltown Supersound, will be a properly mixed and mastered live album version of the trio’s performance at Meltdown Festival in 2009. Steve Reid has played drums for everyone from Chaka Khan to James Brown, Miles Davis to Fela Kuti, and adding Four Tet to the list serves as even more approval from new musical communities for what this young producer is creating. The live performances that featured Four Tet and Steve Reid playing as a duo were incredibly exploratory and free form. Reid took a page out of his own book as he used the skills and drum stylings from his days of playing with the likes of Sun Ra, while Four Tet demonstrated how incredibly versatile and unpredictable he can be creating live music from his rig. While the recordings of the Meltdown Festival set have stopped circulating for the impending release, Red Bull Music Academy Radio has a similar performance of the duo playing at Shift Festival in 2009. This will give you some excellent insight as to what the album will sound like. 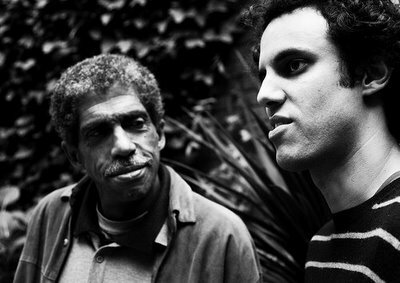 Red Bull Music Academy Radio: Four Tet- Shift Festival 2009. If you'd like to check out more of Four Tet's music, I highly recommend checking out his Soundcloud page linked below. His page contains remixes of his tracks, his remixes of other people's tracks and his entire LP "There Is Love In You." It also has his recent DJing sets for BBC's Essential Mix and DJing live from Plastic People for Fact Magazine's mix series. If you are still craving more, check out his appearance on Caribou's recent live album that features Four Tet as a member of the ensemble.